Initially an interest in commercial art from the 60's and 70's, grew into a passion for collecting. For some time we have been searching for a suitable location where we can share with others the beauty of the objects we have accumulated over the years. Last year we found the perfect spot: on the premises of the freight station Zizkov. In the meantime we have successfully entered the Asian market in Manila, Philippines, where the auction house Salcedo Auctions sells our Czech and European designs from the 60's and 70's. Our current focus is to expand our presence in the Czech market where we offer unique designs not only from the Czech and Slovak republics but also from the whole of Europe. 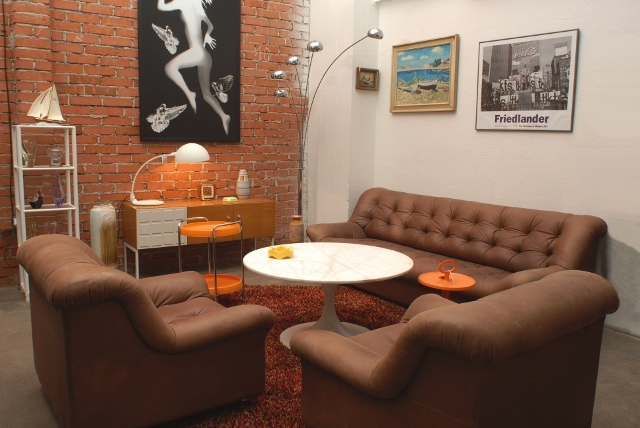 RETRO Factory is an outlet selling retro designer furniture and accessories from the period 1950 – 2000. In December 2012, we opened our first store in Prague's freight station district, Zizkov. We offer a wide range and selection of designer chairs, armchairs, coffee tables and a variety of other stylish retro accessories. We are a team of people interested in art and design, and would like to share our passion with you.